Hail to the emperor. 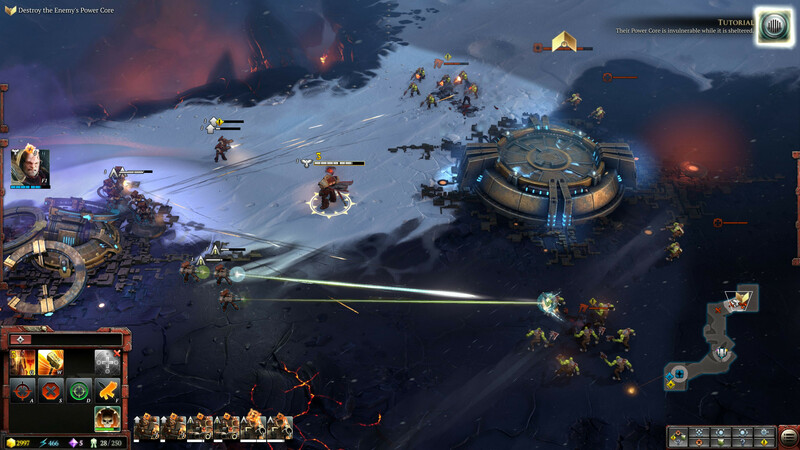 Eight years after the last version, the real-time strategy game Dawn of War is back. Our benchmark test explores the technology behind the game, and how smoothly it performs on various desktop and notebook GPUs. 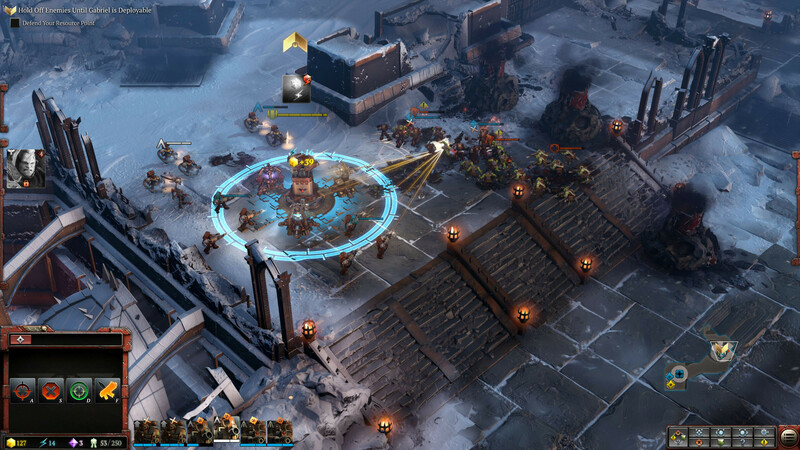 Even though the popular Warhammer universe found its way into PC games quite frequently during the last few years – be it as the turn-based strategy game Total War, the first-person shooter Vermintide, or the third-person action game Space Marine – the last full-blow real-time strategy implementation dates back to 2009, the year Dawn of War 2 was published. 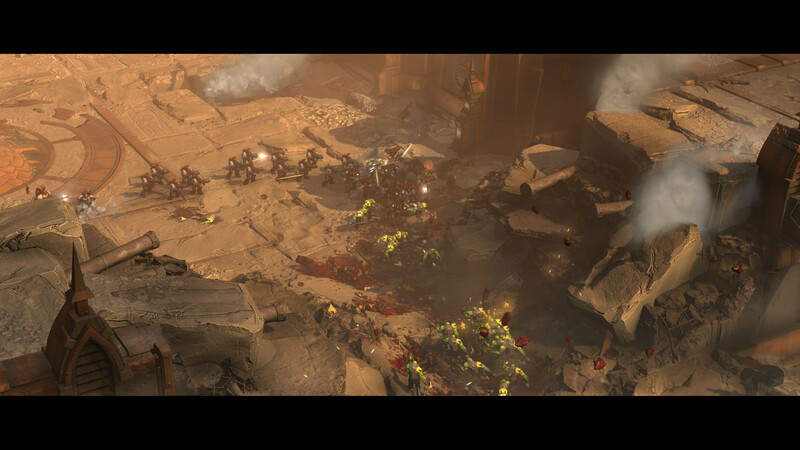 And now, eight years later, Dawn of War 3 - developed by Relic Entertainment - is finally here. Too bad the current version doesn’t really look that much different from its predecessor, and only differs in a few minor details. 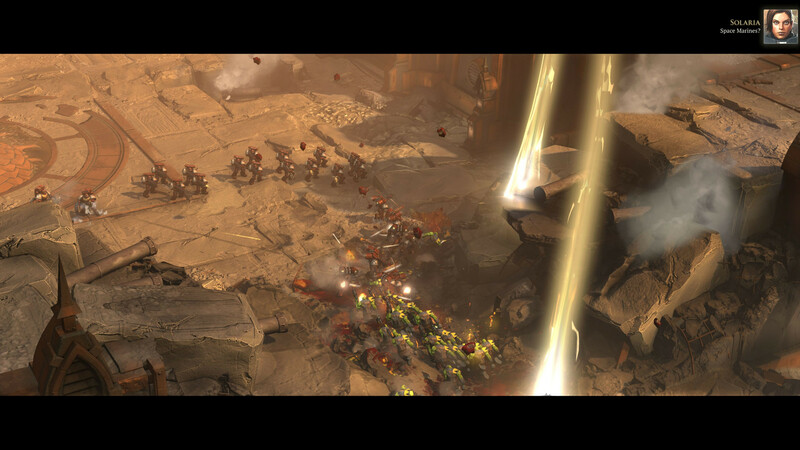 Units and buildings are nicely animated and very detailed, and explosions look much better as well, but overall the textures are not the most satisfying. 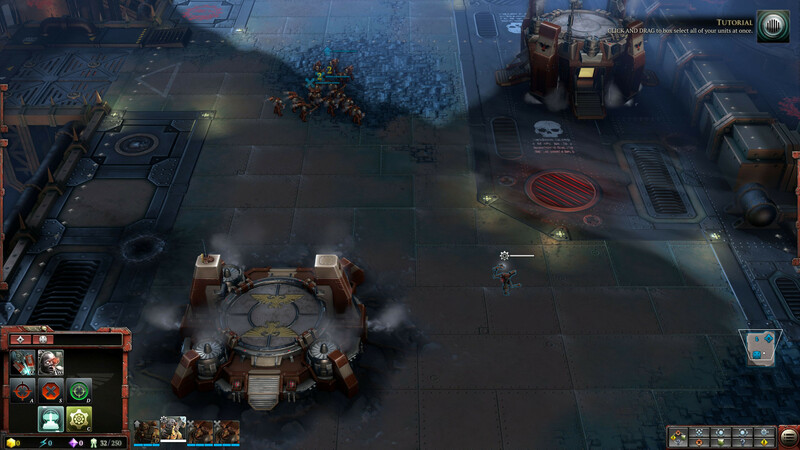 Scenery and surfaces seem mushy and soft even on maximum details, and the comic-esque appearance not only reminds us of Starcraft 2, but also cleverly whitewashes the otherwise mediocre graphics. 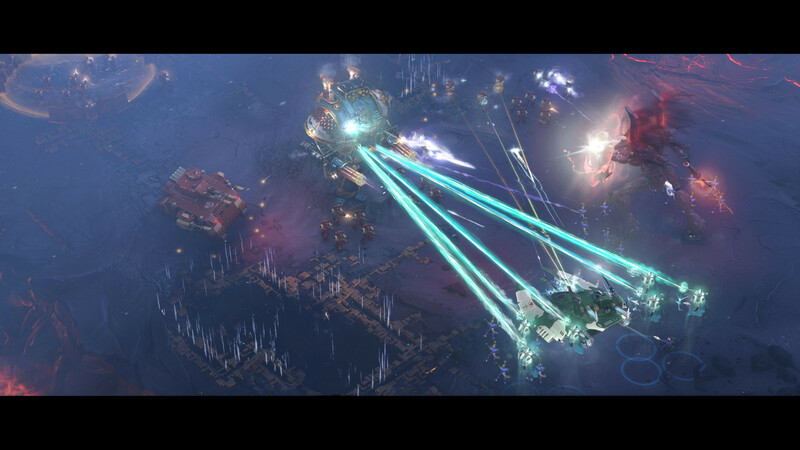 All things considered, graphics and details are okay for a strategy game. Unfortunately, the game crashed every so often (mostly during startup) on various systems. 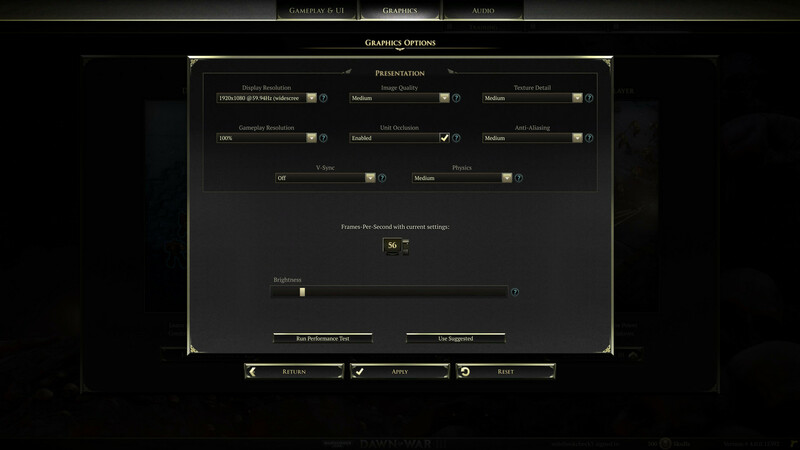 We also had problems with resolution and display detection – connecting a 4k display did not enable us to select the proper 3840 x 2160 resolution without rebooting, or fiddling with the scaling settings or the GPU driver settings. The graphics menu turned out to be a mixed bag as well. While hints and explanations are available only a total of 8 settings (including resolution) can be adjusted and tweaked. Two on/off settings and six more or less freely adjustable settings are available. Automatic settings detection did not work as well as we would have liked to. 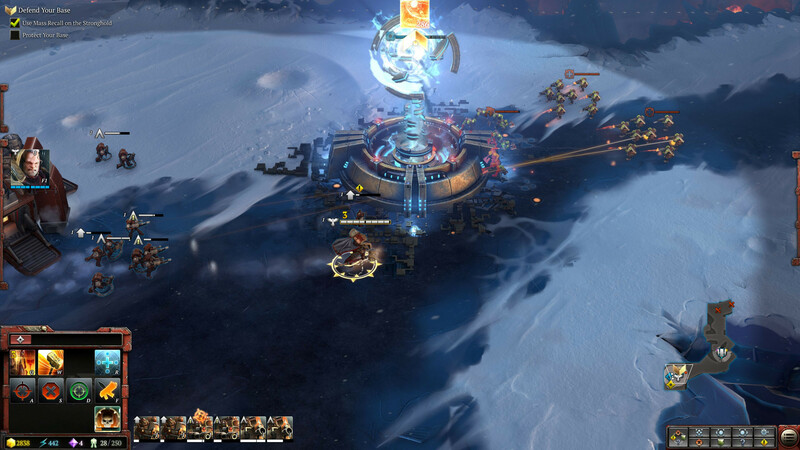 Graphics details were rather low even with high-performance GPUs, and changing texture details required a restart of the game. Fortunately, the intro videos can be skipped. Loading times highly depend on the underlying storage medium: the game starts acceptably fast from SSDs but horribly slow from HDDs. The integrated FPS counter is a plus, even though its informative value is questionable, and the size of the game is 29 GB (22 GB download). As can be seen on the images below, the difference between maximum and high settings is rather insignificant, both in terms of details and performance. The difference between high and normal is more pronounced – besides reduced texture details, the normal setting also features less sophisticated shadows. That said, the game still looks acceptable on normal settings. Going from normal to minimum is immediately obvious – no shadows, mushy and fuzzy textures, and lack of lighting practically single-handedly destroy the entire atmosphere of the game. The integrated benchmark is a huge plus. 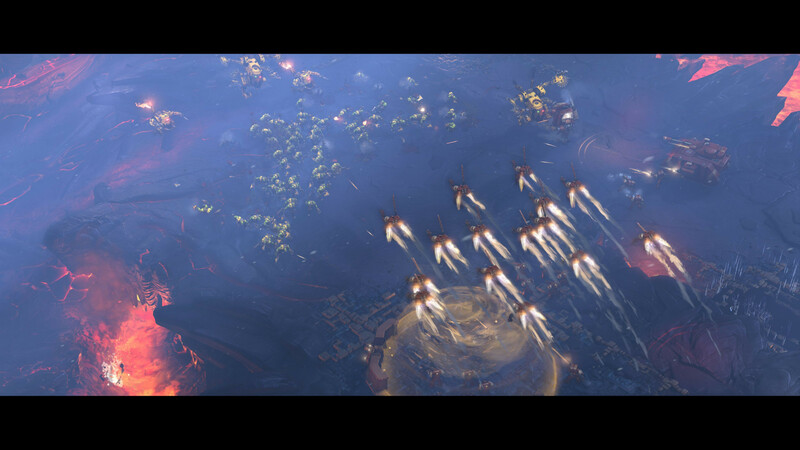 In a roughly 40-second long sequence, the game goes through a demanding mass battle. Since evaluation is rather problematic (log written to an external file, evaluation impossible from within the game, and also falsified by recordings that tend to start too early and stop too late) we’ve used Fraps to determine minimum and average frame rates. Update 5/5/17: upon closer inspection, we found the external evaluation to be as accurate as Fraps. Consequently, from now on we will continue using these values instead of Fraps. 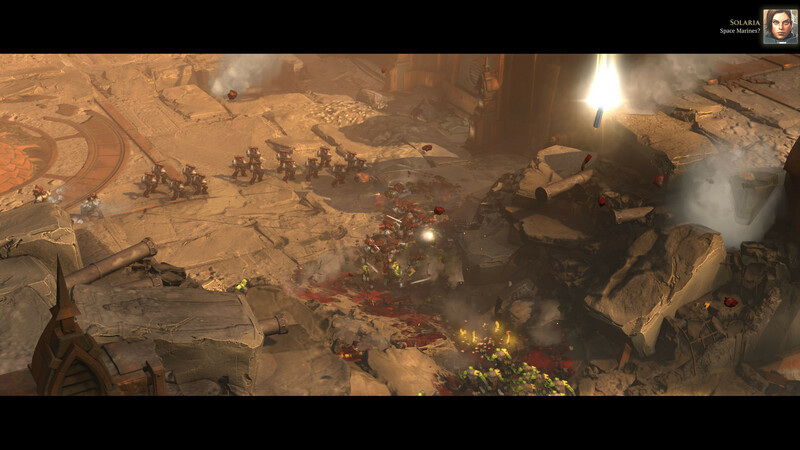 The results can be found in your Documents folder under Games Dawn of War III LogFiles. Across-the-board statements in regards to graphics performance and capabilities are hard to make, because performance varied greatly depending on zoom level, number of units and effects on screen, etc. 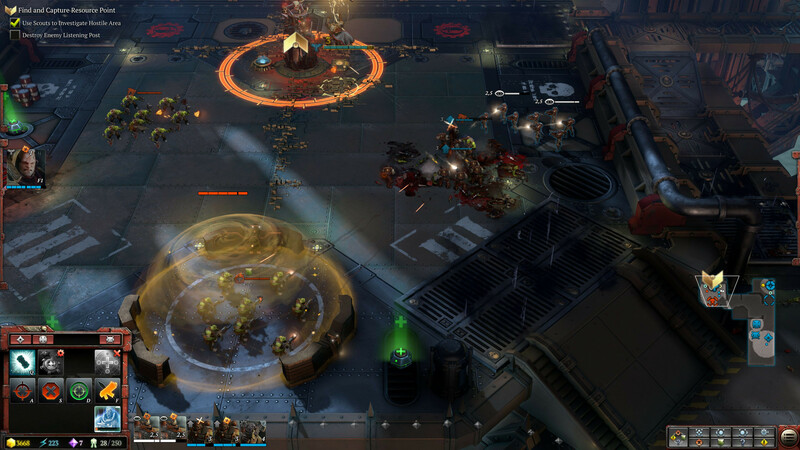 An average of 30 fps in the integrated benchmark should suffice for a smooth campaign gaming experience. 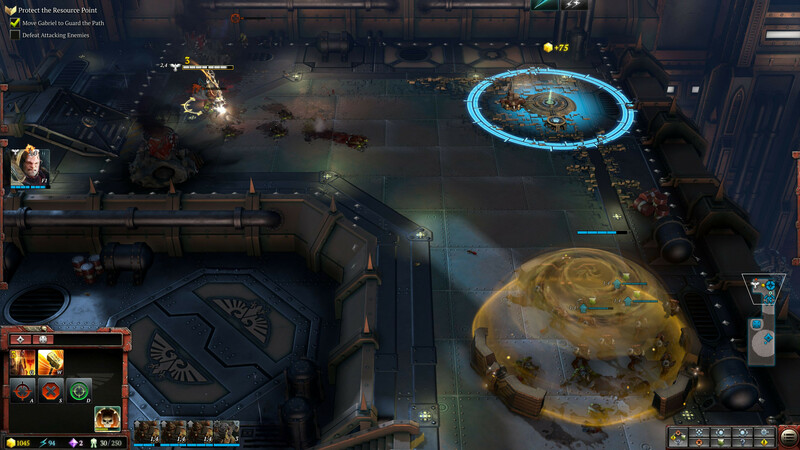 Unlike first-person-perspective games that only seem truly smooth at more than 40 fps, real-time strategy games are less demanding in this regard. Considering overall graphics quality, hardware requirements are surprisingly high. Intel’s integrated HD Graphics GPUs are too slow even at only 1280 x 720 and minimum details (no AA). Medium details at 1366 x 768 (medium AA) require at least a GeForce GTX 950M or better yet, a GTX 960M, and high details (no AA) at FHD (1920 x 1080) won’t be any fun with anything slower than a GeForce GTX 965M or GTX 970M. High details (AA high) at FHD and maximum details require at least a GeForce GTX 980M/GTX 980 or GeForce GTX 1060, respectively, for an enjoyable gaming experience. 4k gaming on high details with anti-aliasing enabled is all but unplayable even with high-end graphics cards like Nvidia’s GeForce GTX 1080. As expected, the processor is much less important overall, and it becomes the limiting factor only at low resolutions and on low settings. 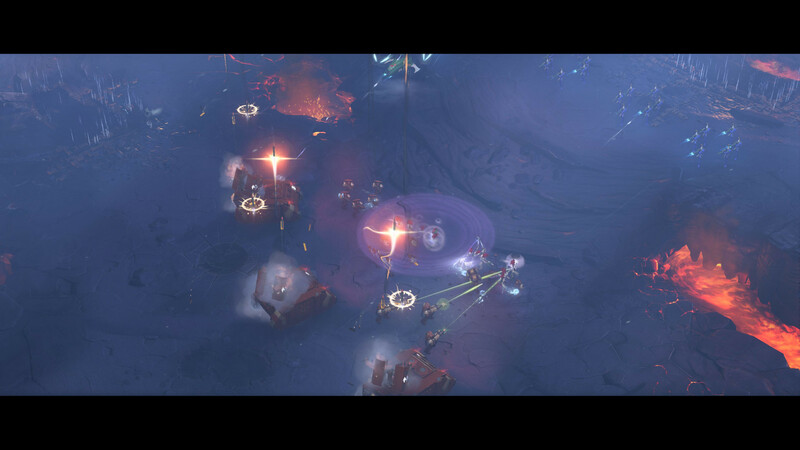 During the tests, we had upscaling disabled (100 % gameplay resolution).